I've followed Madelynn for quite a while, years even, and while her style has evolved (whose hasn't?) 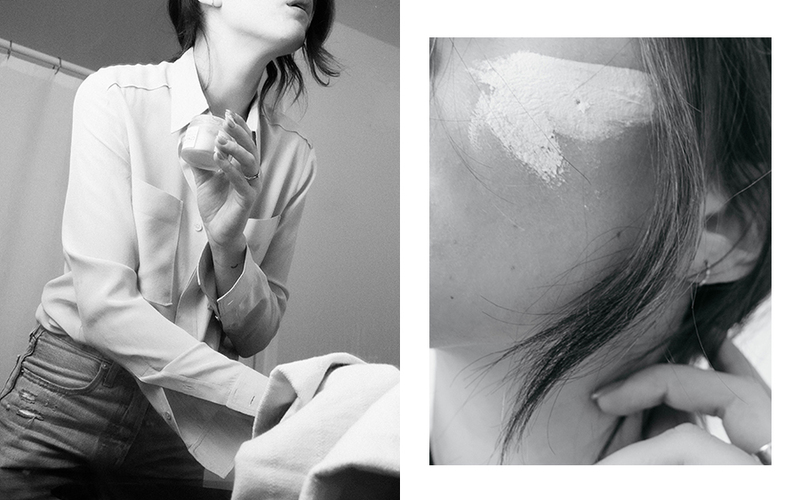 one constant has been her inclination toward minimalism. 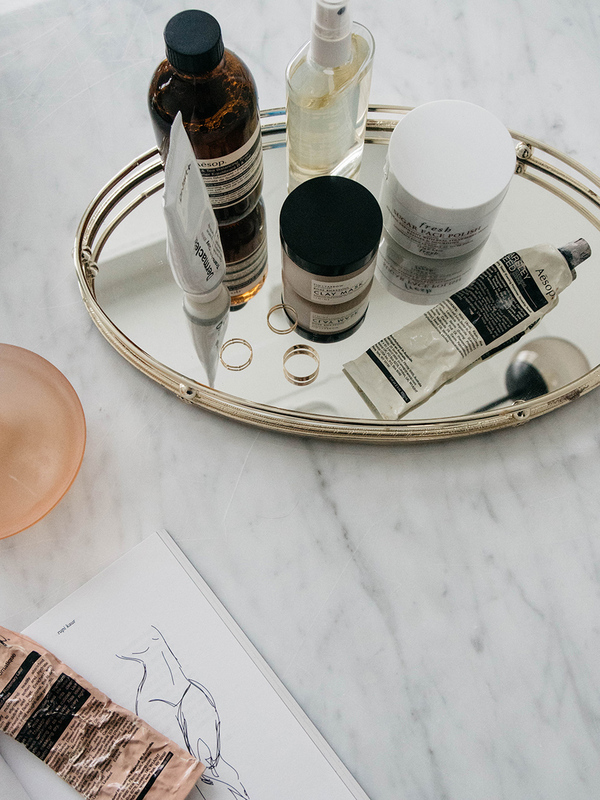 Today she talks about what minimalism means to her and shares her simple skincare routine, the sugar polish has been on my list to try as well! To me, it a stands for a way of self discovery and means a practice of being considerate about what you let into your life and why. What you let in, often will tell you a lot about yourself. I also think that it is not a sparsity of things (which I think is commonly believed), but it is an intentionality behind everything. Everything serves a purpose. To some degree, yes. But I will be honest and say that at this point in my life, I prioritize personal aesthetic over sustainability. My main love is fashion. I have always been fascinated by how we present ourselves to others and the world, and have spent years discovering my personal style - and have documented the process in a curated closet series. However this year I am paying special attention to my skincare routine. Focusing less on fixing my complexion with makeup, and more on taking care of it through diet, regular facials and a skincare routine. Currently my favorite products are from Aesop, Fresh, Weleda, Dr. Jart and Fig + Yarrow (among a few others). I stick mostly to natural products or lines created for sensitive skin. And since making this switch to a more consistent and concise routine, I have seen a huge difference in my skin- for the better! 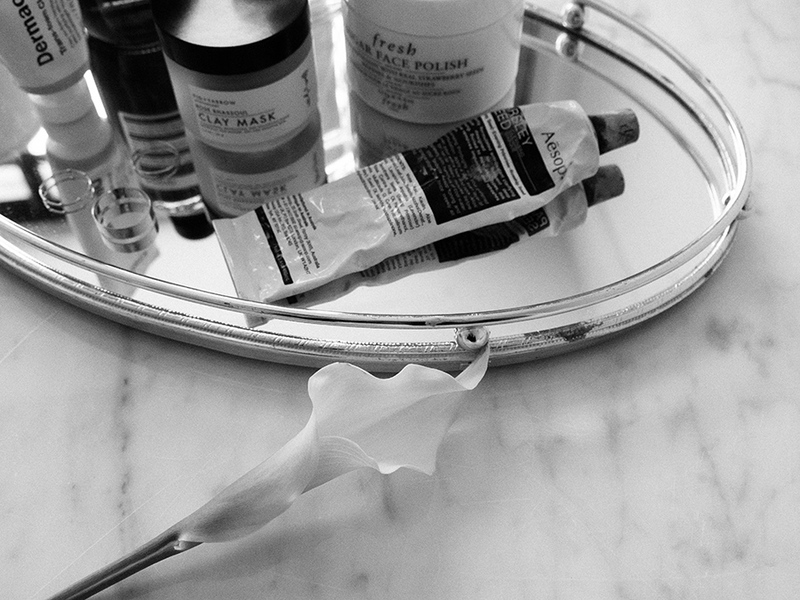 Do you find it difficult to stay minimal when it comes to beauty products? Honestly, no. Dont get me wrong- I love wearing a good beauty look from time to time. But daily I use three to five products: A little Dr Jart cc cream or Chanel foundation, Marc Jacobs highlighter on my cheeks, Glossier boy brow, Dior rose lip cream and every once and a while I will put on mascara and a little bronzer. I keep a few lipsticks colors and fun eyeliners on hand for when I want to do something a bit more out there, but I love a natural look and have always enjoyed keeping things super simple! I love Boy Brow too! With so many great and tempting products out there and new ones coming out daily, how do you keep your arsenal minimal? This can be super challenging, as I often get samples to try out and partner with different beauty lines through my blog. I am always open to trying new things! But after a few uses, if I dont feel like its the right fit for my skin, I give it away. No use keeping things around that I wont use! I also try my best to get frequent facials. I have found that a great facialist really does help keep your skin in great shape. Once you get it there, maintaining it is easy. Another great reason to get frequent facials- you dont have to own product, and instead can pay for the service. If someone wanted to streamline their own beauty cabinet, where would you suggest they begin? I would say start with the basics. Cleanser, toner, a serum and a cream. Start seeing a facialist regularly and see what they recommend for you! 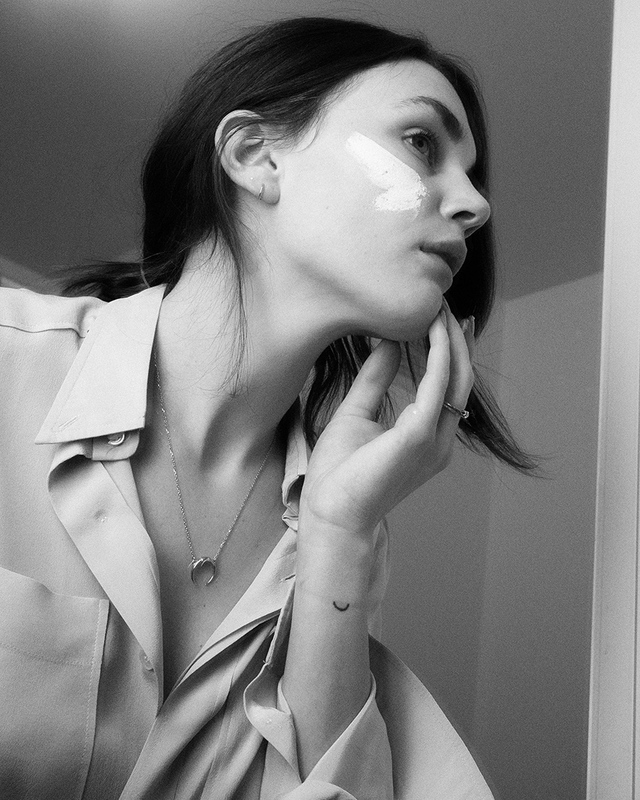 See how your skin reacts to a more minimal routine and add from there based on your needs. Also analyze your daily routine- what do you always wear and what do you make time for? If you are holding onto products and gadgets that you never use- let them go! I recently realized I had 8 different red lipsticks, and seeing that I hardly ever wear lipstick, I made the choice to bring that number down to my three favorites. I think once you step back and analyze, it can become easier to see what to hold on to and what to let go of.